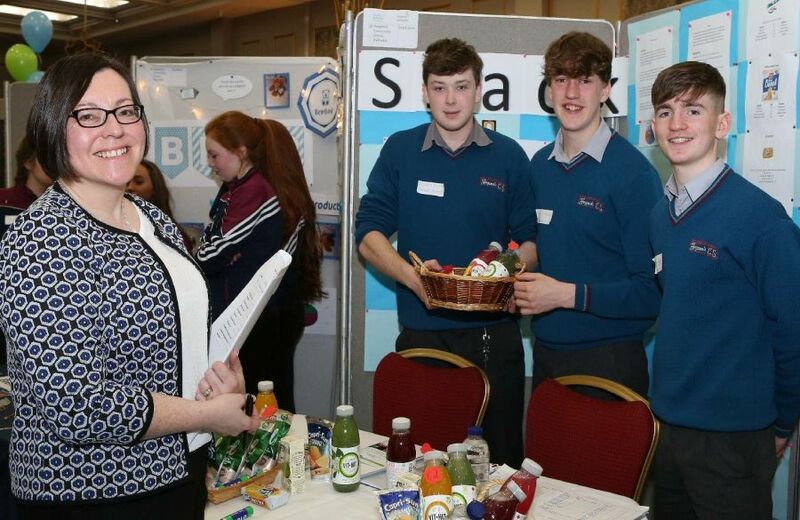 Our Centre Coordinator, Patricia Frayne, was delighted to be one of the judges at the Laois Student Enterprise Awards held recently in the Midlands Park Hotel. Her fellow judges were PJ Ralph, Head of County (Laois) at Bank of Ireland and Claire Dunleavy, LEO Kildare. 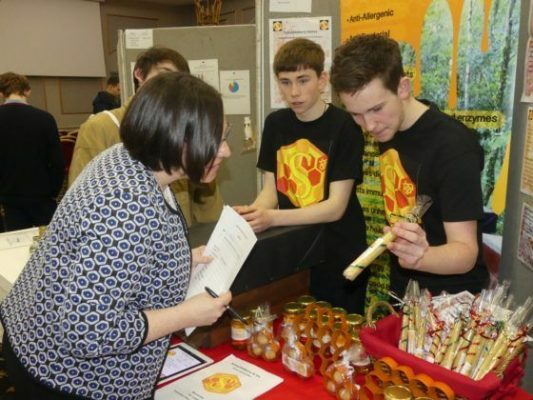 The awards are run by the Laois Local Enterprise Office and six Laois schools were represented this year. This was broken down to 27 entrants, all of whom were competing for the title and the chance to go forward and represent Laois at the National Student Enterprise Awards in May. The atmosphere was electric as the judges moved around the stands and questioned each of the participants about their businesses. The standard of entries was very high and the talent and vision displayed by each participant bodes well for the future of enterprise development here in county Laois. However, there could only be one winner and that title went to Alice Carew of Mountrath CS and her mini-company Lulls. Her product is a wireless headphone specially designed for people and children with sensitive hearing. Patricia Frayne at the Schuchleberry & Co stand. This entry was posted in The News! and tagged Local Enterprise Office Laois, Portlaoise Enterprise Centre, Student Enterprise Awards. Portlaoise Enterprise Centre shared a post. Great chance for suitable businesses!Would your company benefit from €5000 worth of expert advice on a particular issue or development with the business? You might be eligible for an Innovation Voucher. Portlaoise Enterprise Centre, works with many other groups and associations, to try and help New Business to grow and develop. below are some links to other services that might help your Business. Be among the first to be notified when one of our spaces comes available. Simply provide your name, your number, your email address and the type of space you are looking for and we will contact you when a space is free. Security Question If green is green, blue is ?